The Pro Shop at Hals Golf Club is run by PGA Certified Coach Canada native Adam Stevenson. In the shop you will find well-known brands like Titleist and Cobra. 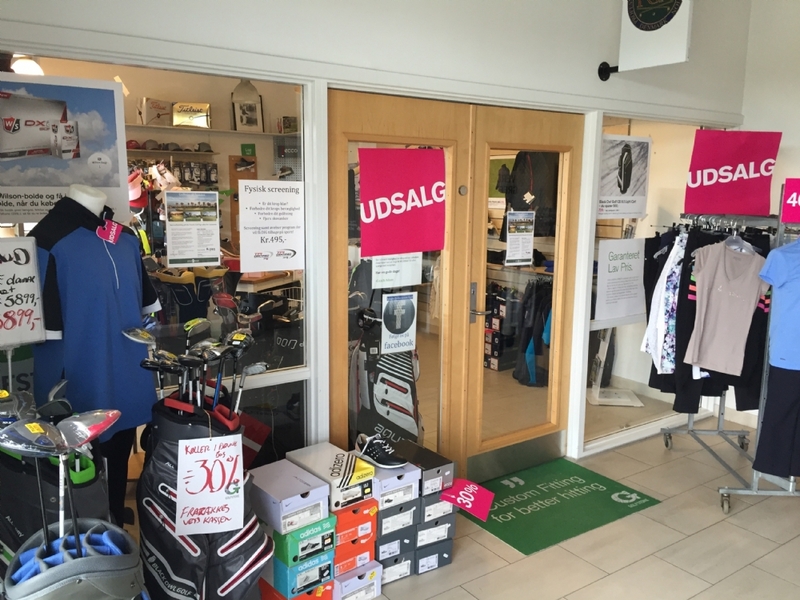 Whether you are an expert golfer or a newbie, you are able to browse through equipment and clothes to better your game. Reasonable prices to get you startet just right. The Pro Shop can of course provide you with balls and tees as well. Womens clothes from Daily Sport, Abacus and Röhnisch. Mens wear from Abacus, Calvin Green and Nike. Shoes from Ecco and Footjoy, plus a great selection of bags and carts. Check out current offers at www.adamstevensongolf.com. It is still a possibility to visit the shop outside of opening hours. Adam will keep the shop open when he is not busy giving golf lessons.